If you think the last couple of HIV denialists and anti-vaxxers and purveyors of alternative medicine (staple fare in any encyclopedia of loons) have been a little tame, meet Len Horowitz. Len Horowitz is a shrill, roaringly raving loon if there ever was one. He is, according to himself, a diplomatic officer for the World Organization for Natural Medicine. He is a representative of God, knighted in the Sovereign Orthodox Order of Knights Hospitaller of St John of Jerusalem, as a Levitical priest in the bloodlines of Moses and Yeshua the Messiah. Indeed. Watch Len Horowitz take down Peter Duesberg, the king herald of HIV denialism here. But wait, wasn’t Len himself a HIV denier? Oh yes, but in Len Horowitz’s grand theory of everything, Duesberg is really a corrupt shill for the militaristic fascist conspiracy that originally were behind the AIDS epidemic, whose role is (it seems) to spread confusion. 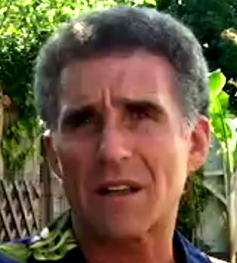 Horowitz, a Harvard-trained dentist who (as you see) identifies himself as a Messianic Jew and frequently cites the Old Testament to condemn blood contamination or injections containing genetic material (such as vaccines), believes that there is a large depopulation conspiracy, the purpose of which is to kill roughly 84% of the population. The purpose is to economically benefit Big Pharma (i.e. Wall Street Bankers, Fox News and the British Royalty). It is unclear which mechanism is supposed to confer these economic benefits on said beneficiaries, but the original article is here in all its glorious insanity. Behind everything? Good old Henry Kissinger, who allegedly called for massive "Third World" depopulation efforts in order to maintain the economic alignment of the superpowers, and his successor "Zbigniew Brezinski” (Horowitz’s spelling), who unknown to absolutely everyone but Horowitz, advanced National Security Memo #46 to cabinet chiefs only, authorizing the FBI and CIA to initiate genocidal policies. Kissinger's security policy specifically stated the need to dramatically reduce African populations, and Brzezinski's memo explained that Black nationalism "posed" economic and security threats to America. Indeed. One wonders how people could take him seriously, but he was apparently influential in the decision of the (blatheringly moronic) Nation of Islam to call for a boycott of U.S.-sponsored vaccination programs. Hence, Horowitz was only tending his main market segment when he, in 2009, told al Jazeera that H1N1 vaccines would cause sterility, as part of a plan of "pangenocide" against Muslims. He may also have been behind the identical claim circulated by Muslim clerics in Kano, Nigeria in 2003, leading to a resurgence of polio in North Africa. Visit his wikipage for more. Obama’s unhinged sidekick Jeremiah Wright is also a huge fan of Horowitz. You can get his products and a load of batshit insanity here. It is, however, over at our friends at whale.to that he can really shake of his inhibitions. Read about Bush, 9/11, anthrax, ebola and how the code-the words "Kissinger" and "Vaccination" both decipher to "666," the infamous "mark of the beast" here (and there's a collection of articles and opinions here; this is serious, serious insanity). In fact, even NASA has been forced to take action, since Lenny is plastering the colloidal silver he peddles with the NASA logo (since it is, according to Len, “NASA technology”). Diagnosis: If Gary Null hadn’t existed, Lenny would have been the Kent Hovind of anti-vaccination and woo. He is still pretty close to the Platonic idea of lunacy and crackpottery. But he is not merely fun (like Arthur D. Horn), since his cunning peddling to the most susceptible can possibly be linked to rather extensive actual harm. At least he made it to this list. The first human HIV sample we possess is from Kinshasa in 1959 and molecular genetic studies have traced the origin of the global HIV epidemic pretty precisely to crossover from a specific population in chimps living in SE Cameroon in the 1920s-30s. This virus is actuially more like the epidemic strain of HIV than other strains that form a minority of African cases.